Sited 1.31 acres in the beautiful riverfront community of Crab Point, this home features magnificent views of the Rappahannock River. Incredible sunsets, viewed from the sunroom or the waterside deck. The main home has 2,449 sq. ft. and the two bedroom guest cottage has 1,052 sq. ft., which complements the main house. A charming retreat for visiting family and friends. A private dock with boatlift provides a convenient anchorage. The 160 ft. of shoreline is protected by riprap. 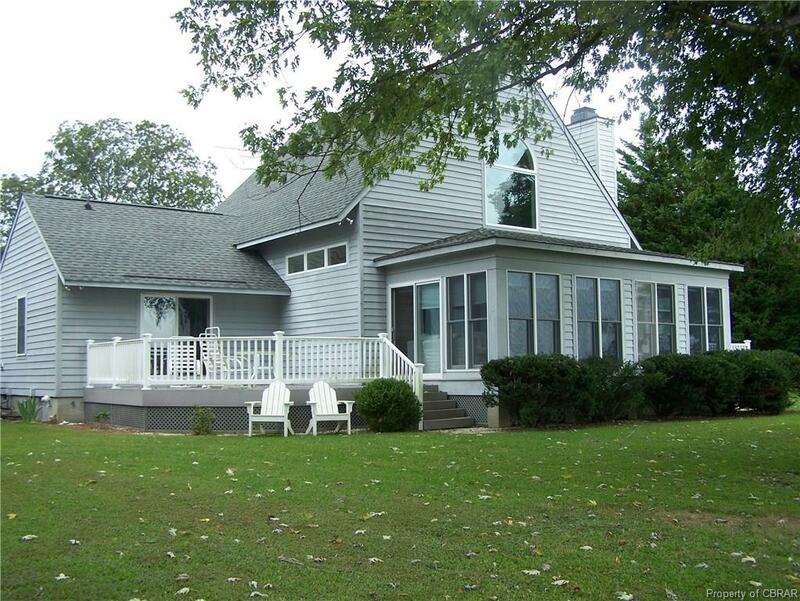 This premier sitting offers easy boat access to nearby Carters Ck and Chesapeake Bay. Directions: From White Stone, Take Rt. 3 South Towards Norris Bridge (Rappannock River Bridge), Right On James Wharf Road. Left On Dandelion Dr. Home On Right With Sign In Yard.